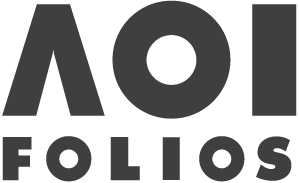 Here at the AOI we pride ourselves in having members from all over the world, who stun us on a daily basis with their incredible portfolios and work ethics. 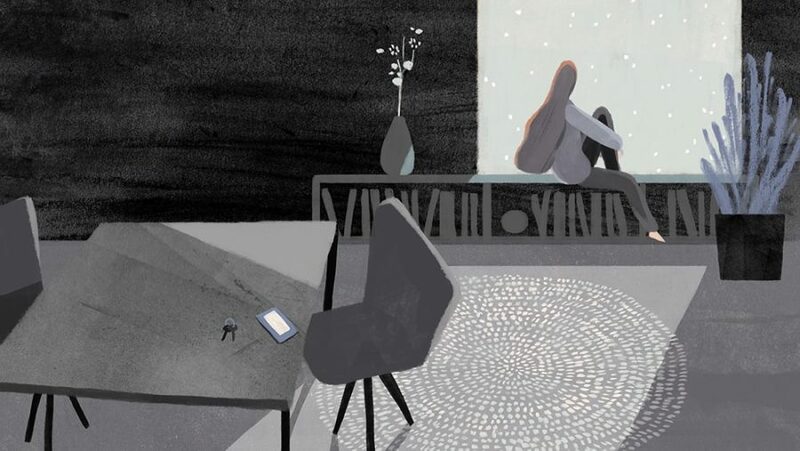 For our January edition of Illustrator of the Month, we are delighted to showcase Cinyee Chiu. 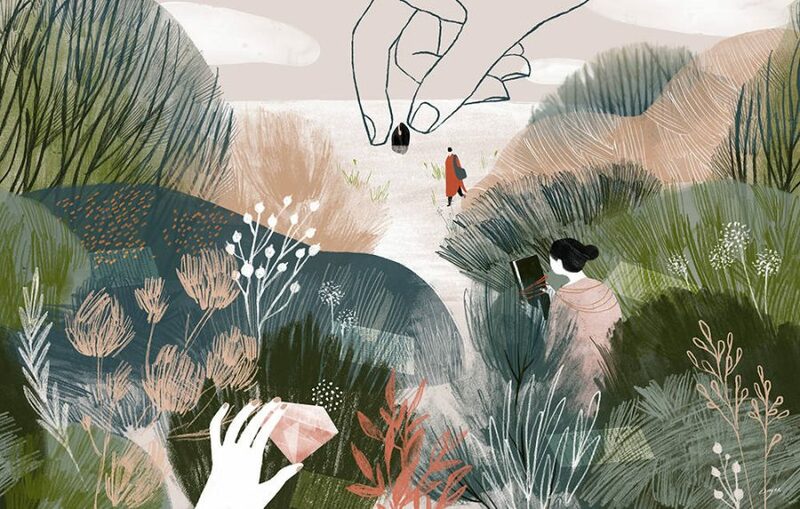 Originally from Taiwan, Cinyee is a semi-nomadic Illustrator who’s currently on her second year of world travel. Having initially studied economics, she went on to do an MFA in Illustration and graduated in 2016 from Maryland Institute College of Art. 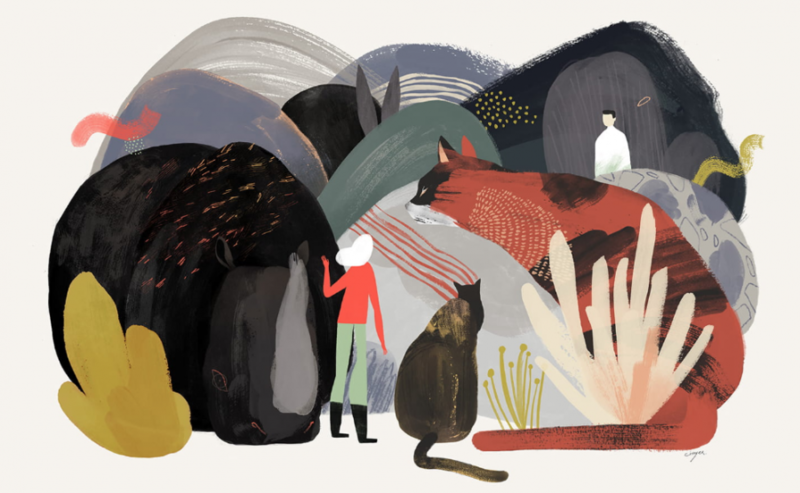 Since then she’s developed a diverse portfolio comprising picture books, animation, editorial illustration, book illustration, product design, and packaging. 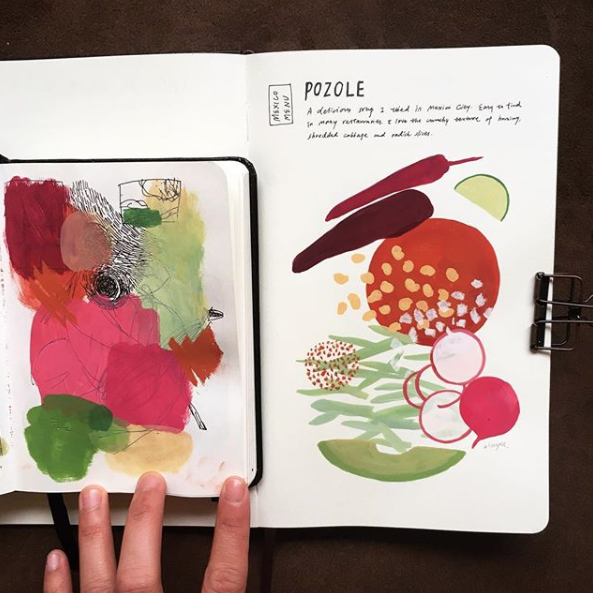 We see on your social media that you travel constantly and have created many lovely observational / mood pieces (even recipes!). Do you feel that these drawings have influenced your commercial work? My commercial works are usually tighter, which I actually would like to be looser. These personal projects with gouache or pastel on paper is me trying to approach a looser solution. But I haven’t gotten to the point of bringing the looseness into my commercial pieces yet – This is still a work in process. When you are constantly travelling, does this affect taking commissions? How do you organise your time and achieve a healthy work/life balance? Because of the travel, I indeed have less time for working – I knew this would be the case from the beginning. I roughly plan my time: Half for traveling, half for working; This can mean walking around the city during the day and working at night, or today sightseeing and tomorrow staying at home working. I almost always have some projects on the go, but because I have only half of my time available now, I sometimes have to turn down commissions. I think a great positive of being a freelancer is that you can have the whole control of your time – I can adjust it to the point I feel comfortable and balanced, and achieve a freedom that someone who works 9-5pm can’t achieve. I found that using time tracking apps help me to work efficiently. To keep a healthy work/life balance, putting “life” as the priority also helps. Put it on the schedule, don’t sacrifice it for working. That part is rather easy for me now since I’m traveling: I could stay at home working, but I’m also going to leave this city in 5 days… so I better spend some time walking around! You work for a great range of clients, many of them based in Asia. In your experience, how do you find working for this market in comparison to Europe / US? I’m from Taiwan, so I do have an advantages of getting clients from Taiwan or China due to the language. Markets have been growing there in recent years, but clients are generally less familiar with the illustration industry in comparison to clients from Europe / US. For example, I have to make sure to mention that the illustration services I’m providing are for “the right to use this piece for specific use/area/time”, otherwise some clients might think that they’re getting a buyout, and then they can use it everywhere. In my experience I’ve found that Asian budgets are generally less than in European/US markets, but I heard that in China some clients are able to provide similar budgets as in Europe. What’s your favourite project that you’ve worked on in 2018 and why? I think my favourite is probably the Flora Exposition Ticket Set. 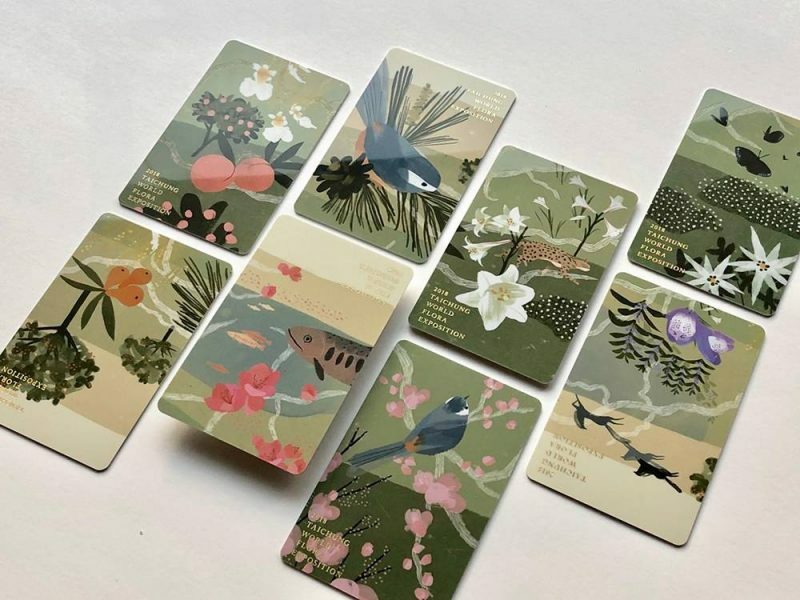 The illustration itself is not the best – The whole piece has to be divided into 8 cards, each presenting the assigned local produce and species, so the composition is a little messy. But the making experience is very different from other projects; It required a lot of planning and many limitations, which I found challenging. Also, the client put a lot of effort into the production. The final result has nice quality, and the cards are even printed with aromatic inks to fit the Flora Exposition themes. When I see how beautiful this product is, I feel extra satisfaction for being a part of it. That’s amazing! This 2019, what would you like to expand on? Are there any exciting projects in the pipeline? I’m working on some picture book projects, which I’m hoping to present this year. I’m very excited about that! In terms of personal projects, I’d like to have some visual reflections on my world trip. My world travel will be finished in 2019, so maybe I’ll do a book? We will see! We want to thank Cinyee Chiu for taking the time to deliver this interview. You can see more of her work on her website.